The Minister of Industry and Trade of Russian, Mr. Denis Manturov, has said that Tanzania could serve as a springboard for Russia’s expansion into the vast East African market. The announcement was made during the Russian-African Forum 2016 (RAF-2016) that was held at Julius Nyerere International Convention Centre (JNICC) in Dar es Salaam, on April 27–28 2016. The forum gathered a large group of Russian government representatives, industrialists and business tycoons, led by Mansurov, who came to Tanzania to increase their presence on the East African market and to explore the existing potential for social and economic cooperation in areas such as agriculture, mining, oil and gas, tourism, economic infrastructure, manufacturing, fisheries, banking and insurance, as well as education and health. Speaking during a media briefing, Mr. Adolf Mkenda, Permanent Secretary (Trade and Investment) of the Ministry of Trade and Industry of Tanzania, said that for many years, Tanzania and Russia have been teaming up mainly on issues pertaining to politics, but now the objective is to work on economic issues and to welcome Russian investors. Russian investors are already active in Tanzania. According to the Tanzania Investment Centre (TIC), Russia has invested significantly in the country, with 48 projects worth USD45.23m since 1990, employing 3,342. Uranium One Inc., one of the world’s largest uranium producers, which is owned by ROSATOM State Atomic Energy Corporation, operates the Mkuju River Project, a uranium development project located in southern Tanzania, about 470 km southwest of Dar es Salaam. The Mkuju River project is owned by Mantra Tanzania Limited, a wholly owned subsidiary of Mantra Resources, an Australian corporation in which Uranium One has a minority interest. Current activity at the Mkuju River Project is focused on licensing and permitting. During the forum, Minister Mansurov announced that uranium extraction at the mine was planned to start in 2018, and discussed with the Vice President of Tanzania the construction of a nuclear reactor for scientific research in Tanzania, including for medical purposes. Mansurov also mentioned that industrial groups, Russian Helicopters, United Aircraft Corporation (UAC) and United Wagon Company (UWC), were also looking to work on industrial projects in Tanzania. During the forum, Russian aircraft manufacturer, Irkut Corporation, signed a Memorandum of Understanding with Air Tanzania Company Limited (ATCL) for a possible supply of MS-21 to aircrafts. Meanwhile, the Tanzanian Ambassador to Russia, Lieutenant General (rtd) Wyjones Kisamba, explained that Russia’s production of agricultural crops has been hampered by months of snow. As a result, Russian producers cannot meet demand, hence creating export opportunities for Tanzanian horticulture, fruit and vegetables produces. 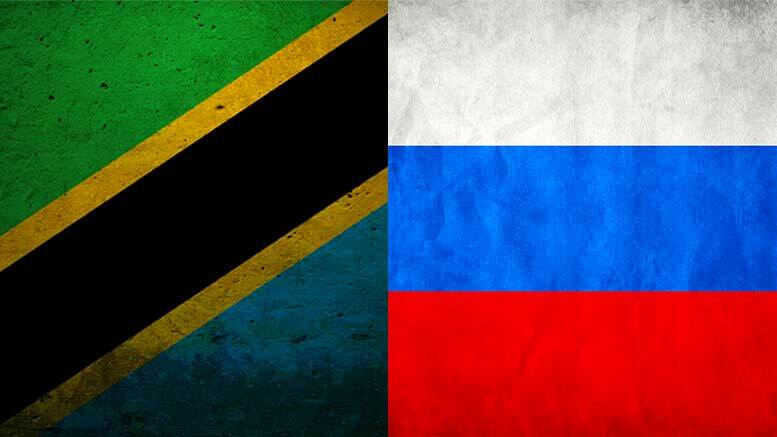 Russia–Tanzania relations started with the signing of diplomatic missions in 1961. Russia has an embassy in Dar es Salaam, and Tanzania has an embassy in Moscow.